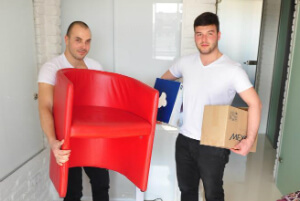 Hackney E Home or Office Packing & Removals | Quality Property Care Ltd.
Get our residential and commercial removals offer today! Give us a call, please, on 020 3746 4287 to set up the details with our polite and kind customer assistance representatives. Do not hesitate to ask for your promotion or discount! We would be glad to assist you! To ensure that every little thing is completed up to your requirements, every Quality Property Care Ltd. specialist work with a checklist which details which pieces of furniture require to be packaged & removed, which boxes go in which truck and so forth. We do both huge and small moves, irrespective of size and London bound destinations, you simply call and specify your demands - we accommodate them. In our service are integrated the moving of furniture, personal belongings, appliances, boxes from one location to another. We take care of the loading, transporting to the second place and also the unloading & unboxing. Big things like cupboards can be dismantled before the move and re-assembled once at the new place by our team. We are supplying long distance transportation with secure & safe, totally insured services. We can additionally assist with the hoisting of big things from windows and balconies, with dedicated piano movers. So, if you need help for moving out or in, or for storing your belongings, or support with moving products and items all through London, United kingdom, just contact Quality Property Care Ltd. and book the removals service right away! Quality Property Care Ltd. working in the entire Greater London area, specially in Hackney E providing all of our clients a full household or office removal service, worry and hassle free. We have several vehicle models, each fitting a different task. Transit vehicles transport bigger pieces of home furniture, paintings and boxes. Supplied with a ramp and a hand trolley, the vehicle is the perfect motor vehicle for a medium to large moves. In addition we have a Luton vans which are considerably more spacious than Transit vans. Using a Luton van we are able to transport Pianos, 2 king sized beds placed flat, 1 fridge, several boxes and shelves. Equipped with a hydraulic lift this van is an excellent motor vehicle for big moves, even corporate or office removals in Hackney E.
This is a service appropriate for the loading, transpiration and unloading of smaller sized items and boxes. You hire a man with a van and you yourself package and unload the things, we only deliver the van and a driver who can help with lighter loads. This is also appropriate for Ebay and IKEA pickups or for deliveries and package pickups all around the Greater London area. This is a completely insured service, sending out only 1 man with a van, it’s a flexible for booking, good for last minute work. Our teams are local and well trained, with vans equipped with all of the needed things to make your move a lot easier, including a ramp. Generally we can move pretty much anything from inside a home, from beds, to boxes, to kitchen appliances like washers, TV’s, shelving, dining sets, sofas, double beds, queen sized mattresses, three wing cupboards and dressers, fridges, bikes, pianos and quite a lot more. As long as the items are very easy to access we can move them at any place you want, simply give us a call. Along with that we are also offering you a packaging service, we come and package everything for you. If you prefer to do it yourself but lack the materials and boxes, call us and we can drop some off at your place. In the standard service are integrated the pickup and delivery of loads from one place to another. We can then move the things inside the new location or simply unload them and leave you to deal with it yourself. As a totally qualified removals company we can ensure safe, hassle free removals every time you give us a call. Call 020 3746 4287 and book whenever you need us. We have a customer care desk available to all clients free of charge, simply call and ask any removals related questions and receive a exact solution.